A high-density interconnect (HDI) is a fastest growing technology used in the printed circuit board (PCB), which have higher wiring density per unit as compared to the conventional circuit boards. These HDI PCBs have finer lines and spaces ( 100 m), smaller vias ( 150 m), and capture pads ( 400 m). Moreover, HDI PCBs have a relatively higher connection pad density over conventional PCBs that is over 20 pads/cm2. Hence, they are widely adopted in the consumer electronics sector and have a high growth potential in the automotive industry. The factors that drive the global HDI PCB market include miniaturization of size and lower weight, high efficiency, and growing sales of consumer electronics. In addition, increase in utilization of HDI technology in automobiles is expected to provide lucrative growth opportunities for the market. On the contrary, high construction cost is anticipated to restrain the growth of the global market. The global HDI PCB market is dominated by key players such as Compeq Manufacturing Co. Ltd, TTM Technologies, Unimicron, AT&S, Ibiden Group, SEMCO, Unitech Printed Circuit Corp., Tripod Technology Corp., DAP Corporation, and Meiko. The global HDI PCB market is segmented based on end-user, application, and region. Based on end-user, the market is classified into consumer electronics, automotive, industrial electronics, IT & telecommunications, and others. Based on application, it is categorized into smartphone & tablet, laptop & PC, smart wearables, and others. Based on region, the market is analyzed across North America, Europe, Asia-Pacific, and LAMEA. HDI PCBs enable accommodation of more components on either side of the PCB, which increases its functionality and maximizes the abilities of the products or equipment in which it is incorporated. In addition to the high functionality of the HDI boards, the size and weight of the products are also reduced as compared to the traditional PCBs. These boards are heavily utilized in communication devices such as smartphones and tablets, as these products are small and require high functionality in limited space. Moreover, rising need of better power performance of consumer electronic devices and larger color display demands larger battery space reducing the space for PCBs in these devices, thereby driving the growth of the global HDI PCB market. The HDI PCBs utilize minimum materials and boards for its composition and also increase the efficiency of HDI boards as compared to conventional PCBs. In addition, the time required for the construction of these boards is less that helps faster production. Such functionalities of HDI boards increases the performance of the devices in which it is incorporated. All these factors are expected to drive the growth of the global HDI PCB market. The growing sales of consumer electronics and a substantial rise in the demand for HDI PCBs in these applications are driving the growth of the global HDI PCB market. Therefore, the consumer electronics industry is becoming one of the important end-user markets for high-density technology. Currently, application of these boards in consumer electronic devices such as smartphones, smart wearables, gaming consoles, tablets, and others are significant. Thereby with increasing demand and production of these devices, the global HDI PCB market is projected to grow in the forecast period. The manufacturing of HDI PCBs requires special methods such as laser direct imaging (LDI). This method is used in the fabrication process as HDI requires the construction of fine lines on the boards. In addition to the fine lines, implementation of tighter spacing of the components makes LDI a necessary element in this process. As the expense of the overall LDI equipment and machinery costs are significantly higher it makes the construction of HDI PCBs expensive. Moreover, the individual operating or handling the construction of the HDIs needs sufficient knowledge and intense training to handle the complete manufacturing process. These factors increase the cost of HDI PCBs, which in turn restrains the growth of the global market. The factors such as rising trend toward sophisticated safety systems, autonomous driving, and miniaturization of electronic devices in the automobile sector are expected to boost the growth of the global HDI PCB market in the near future. 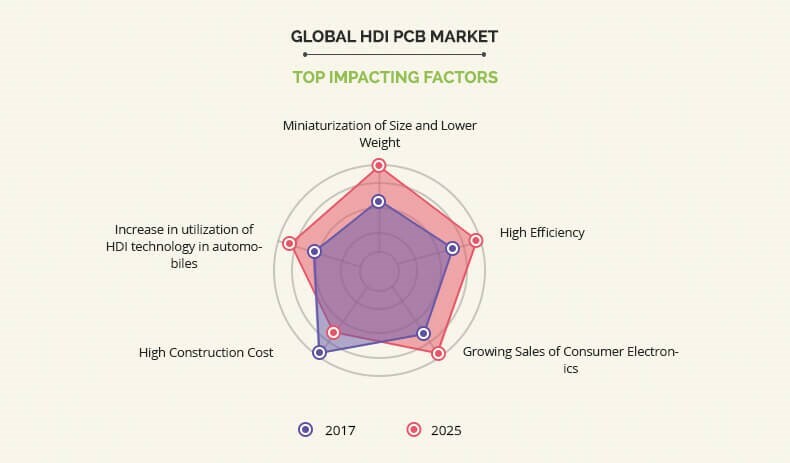 In addition, with the advent of autonomous driving, connected cars, and 5G, the global HDI PCB market is expected to propel during the forecast period. Moreover, the number of applications in the automotive industry such as advanced driver assistance systems, GPS navigation, and infotainment utilize high-density boards providing lucrative growth opportunities for the global market. This study presents an analytical depiction of the global HDI PCB market along with the current trends and future estimations to depict the imminent investment pockets. 7.5. MEIKO ELECTRONICS CO., LTD. The global HDI PCB market has been growing at a steady growth rate. The factors such as improved accuracy, efficiency, and speed of operations are expected to drive the market growth during the forecast period. In addition, the industrial electronics and automotive end-user segments are expected to grow at the fastest CAGR during the forecast period. The factors that drive the global HDI PCB market include miniaturization of size and lower weight, high efficiency, and growing sales of consumer electronics. However, high construction cost is expected to impede the market growth. In the near future, increasing utilization of HDI technology in automobiles is expected to provide lucrative opportunities for the growth of the global market. 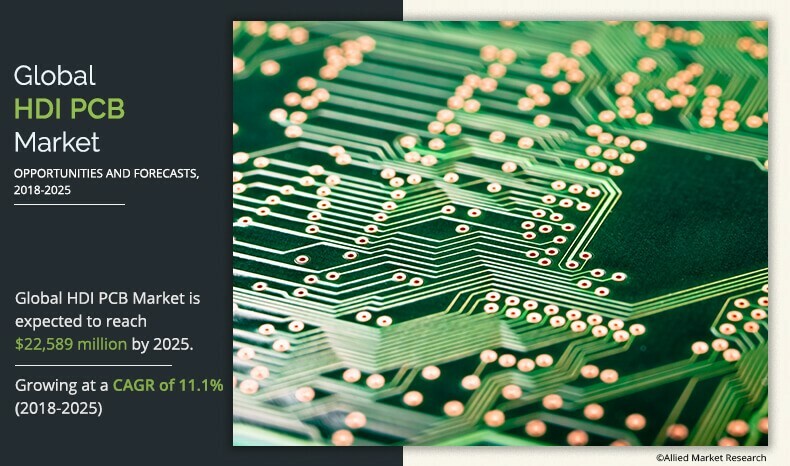 The global HDI PCB market was valued at $9,491.0 million in 2017 and is projected to reach $22,258.8 million by 2025, registering a CAGR of 11.1% from 2018 to 2025. Asia-Pacific is expected to account for the highest revenue in the global market throughout the forecast period. 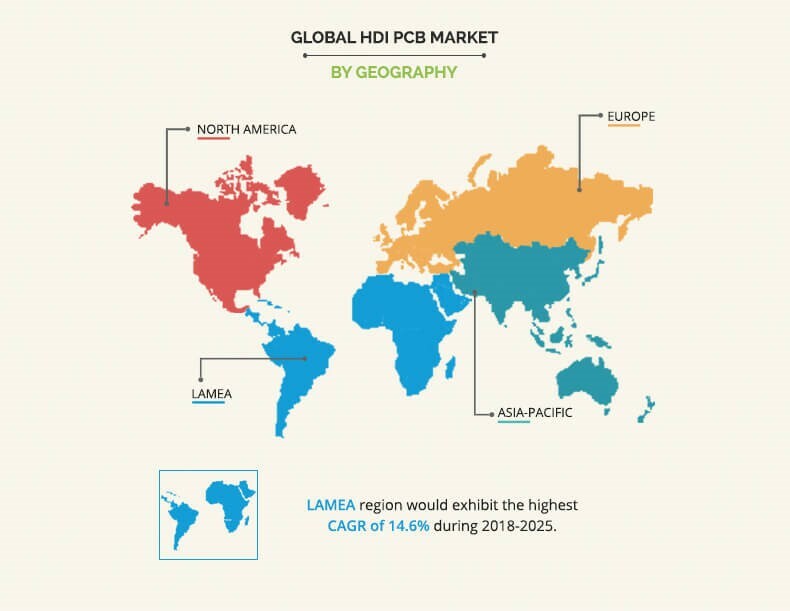 However, LAMEA is anticipated to exhibit the highest CAGR during the forecast period, providing lucrative growth opportunities for the global HDI PCB market. The market participants continue to introduce cutting-edge technologies to remain competitive in the market and acquisition & expansion are the prominent strategies adopted by them. 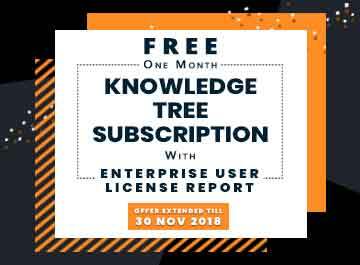 The key market players analyzed in this report include Compeq Manufacturing Co. Ltd., TTM Technologies, Unimicron Printed Circuit Board Corp., AT&S, Ibiden Group, SEMCO, Unitech PCB, Tripod Technology Corp., DAP Corporation, and Meiko. "High-Density Interconnect (HDI) PCB Market"